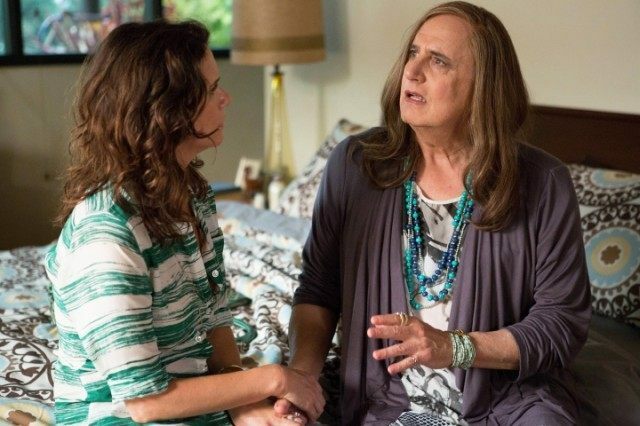 Transparent, an Amazon original drama about a family struggling with its father’s admission that he is transgender, won this year’s Golden Globe award for Best Television Series – Musical or Comedy. Jeffrey Tambor, (above) best known for his roles in There’s Something About Mary, Entourage, and the Hangover movies, stars as Maura Pfefferman in the show, and accepted the award alongside fellow Transparent cast and crew. I don't think you can necessarily make the argument either, a transgender actor should have been involved with the role (rather than Tambor) precisely because of the "passing privilege" he doesn't possess. I saw one of his appearances on a talk show and they showed a clip from "Transparent" coming back from a break. Predictably, I heard a smattering of laughter-until Tambor started to talk about the show and the audience became completely silent. Nothing funny about this topic. What the hell? How can this be? He doesn't look like a woman???? I'm sure though in the greater transgender community, someone will find something wrong.